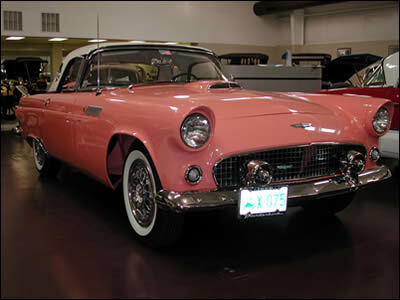 Regarded as one of the first real sports cars produced in America, the 1956 Thunderbird was a legend before its time. It immediately became a classic and a much sought-after collector car. The styling was fresh, youthful in its appeal and unique to this model. The lines of the Thunderbird are sleek and very low … only four and a half feet from ground to roof top. The external mounting of the spare wheel atop the rear bumper, gives the car a “Continental” look. The stunning 1956 Thunderbird two-seater sports car was certainly one of Ford’s better ideas in a fashion conscious era. The 1957 model with minor retouching, carried on the Thunderbird mystique; but the car’s whole character was lost in 1958 when it was re-bodied into a much less sporting four -eater. It remained “Just another car” until the exciting new Thunderbird of today was born. Interestingly, should you purchase a new Thunderbird, it will bear a strong family resemblance to this 1956 classic. 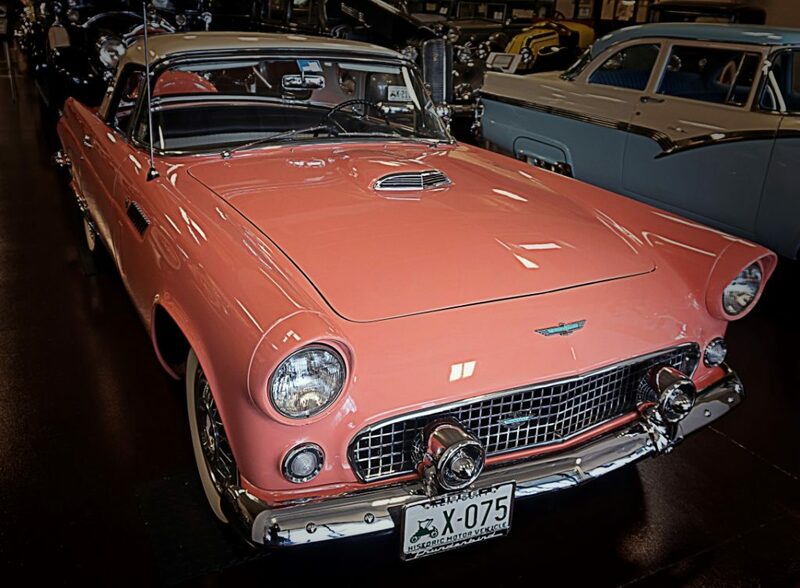 This T-bird is powered by a 312 cubic inch V-8 engine developing 225 horsepower at 4600 RPM. Car on display courtesy of Glenn W. Morlock, Radcliff, Kentucky.